of Rupit, Castellfollit de la Roca and the Cingles de Tavertet sandstone cliffs. 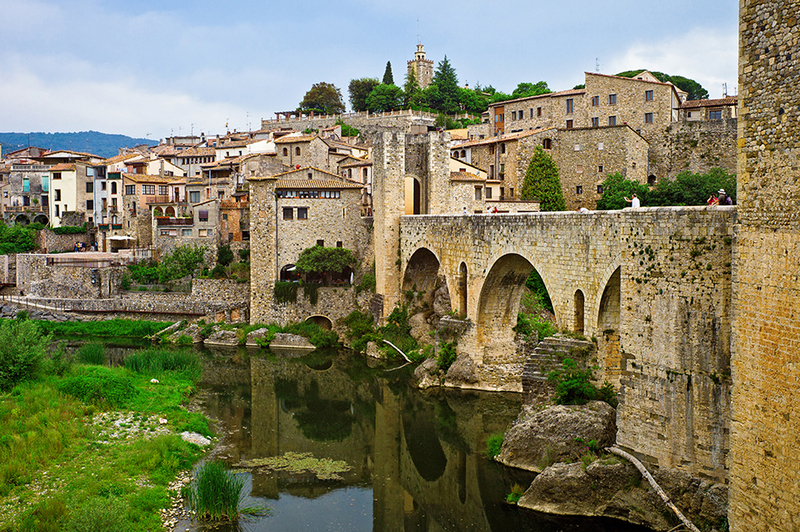 take in views of the green countryside on the 1.5-hour drive to Besalú. urns -- and the Iberian Wall until you reach the village of Tavertet. Romanesque Church of Sant Cristòfol. views over the Panta de Sau lake.